Just to elaborate on a point Tim made, the strangest thing in today’s Romney tax-return memo is the observation that he could have paid an even lower effective rate than the 14.1 percent he paid, but decided instead to take a smaller charitable deduction than he was entitled to. (Romney deducted only $2.25 million in charitable contributions, not the full $4 million that he donated to charity). The Romneys’ generous charitable donations in 2011 would have significantly reduced their tax obligation for the year. The Romneys thus limited their deduction of charitable contributions to conform to the Governor’s statement in August, based upon the January estimate of income, that he paid at least 13% in income taxes in each of the last 10 years [emphasis added]. The August statement the memo refers to is, of course, Romney’s response to Harry Reid’s (now demonstrably false) accusation that he hadn’t paid any taxes for a decade some time before 2010. “I never paid less than 13 percent,” Romney said at the August press conference. “I think the most recent year is 13.6 percent.” He went on to say that he had specifically checked this in response to Reid’s accusation. By my calculations, Romney could have saved another $262,500 (15 percent of $1.75 million) had he deducted the full amount of his charitable contributions. But that would have left him with an effective tax rate of 12.2%--which is to say, more than a percentage point below what he said he’d paid when responding to Reid's allegations. I think the least the majority leader could do is buy him a nice dinner. Update: Now that we've had a chance to peruse Romney’s entire return, I see that he had $3.5 million in "foreign income," which would be taxed at the standard income tax rate. (I was working from the summary and just assuming the vast majority of his earnings were from dividend income, capital gains, or from his Bain Capital partnership, all of which are taxed at 15 percent.) That makes the math slightly more complicated, but only slightly. Basically, Romney could have used $1.25 million of the $1.75 million in unclaimed deductions to offset the rest of his income-tax liability, saving him about $402,000 (just apply the standard income tax brackets to $1.25 million dollars). Then he would have taken the remaining $500,000 and offset more of his investment earnings, which (at a 15 percent rate) would save another $75,000. So, altogether, Romney paid about $477,000 more than he needed to. Had he not sent that money to the IRS, his effective rate would have been about 10.7 percent. 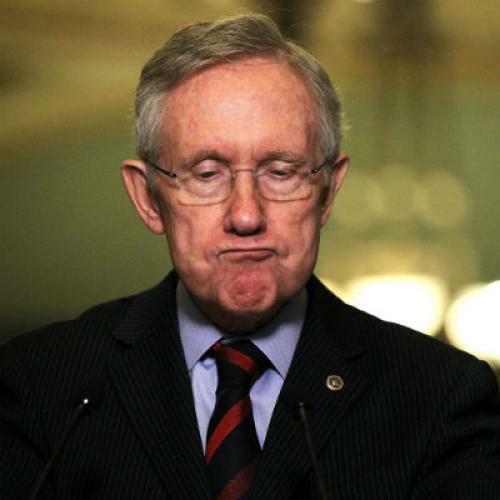 Maybe Harry Reid should treat him to a whole weekend getaway. P.S. As one tax attorney suggested to the Wall Street Journal, the over-payment raises an interesting philosophical question: Did Romney actually pay a 14.1% effective rate, or did he pay a 10.7% effective rate and just donate $477,000 to the U.S. Treasury? The lawyer argued it was the latter. I'm pretty sure I agree.